The other day I asked you to send in some questions and boy oh boy did you ever! Click though to the blog post for some answers! Also, there will be another post later today (Friday) here on the blog that you will not want to miss, so make sure you come back after you've read this one! Before we get to these - a couple of reminders: In Canada, "A Heartland Christmas" is now available to watch online (click the green "WATCH" button at the top of the page), and if you want to see it on television, it will be airing on Christmas Day - a week Saturday - at 9:00pm. Also, don't forget - if you haven't entered the Heartland Christmas Contest, time is running out! Check out the prizes and enter here. Lastly, while there's no new Heartland episode until Episode 410 on January 2nd, make sure you keep dropping by the blog here, 'cause I will be putting more posts up beyond the usual Thursday info. It'll be worth stopping by... trust me! smokeydunkin asks, My question is, does Amber (Amy) do all the horse healing on tape, or does a trick horse do it? A: When Heartland is filmed, all of the horses used are trained and none of them are sick or are in need of any therapy. When you see boils, scabs, wounds or cuts on horses, that's makeup that has been applied, as were the outlines of ribs on the horses in "A Heartland Christmas" to make them look malnourished. All of the horses on the series are very well looked after and no one on the production team would ever put an animal in a position where it could be injured. They are arguably the happiest horses around (and are always laughing when they're not needed on set). Kimberly W asks, Hey. I was wondering if Heartland is filmed on an actual farm, or is it just a set? The Bartlett farm is my dream home. A: The ranch house, pen, roads, addition to the barn and jumping area were all constructed for the television series on an acreage near Millarville, Alberta where only the barn and the quonset hut stood, so yes - it is a set. The only time horses are on it is when production is filming. And the exterior of the house you see is just that - an exterior. Inside there are no rooms or furniture. All interior shots taking place in Amy's or Lou's room, the kitchen, living room, bathroom or Jack's room are filmed in a studio setting in Calgary. Taylor B asks, Is it likely if there will be a season 5 or not? I hope that Heartland goes on for a very long time! My fave tv show by far and it is soooo great to watch very sunday that it is on! I have never and will never miss and episode! A: Believe me, I am not being coy or evasive when I say: I don't know. A lot has to go into the decision on whether or not a series gets a new season. Budgets have to be put into place and a lot of people, from the broadcasters - both in Canada and abroad - the funders, the producers and everyone involved in making and marketing the series have to look at whether or not it makes sense to have - in Heartland's case - a 5th season. As soon as I get the word - one way or another - I'll let you know here. 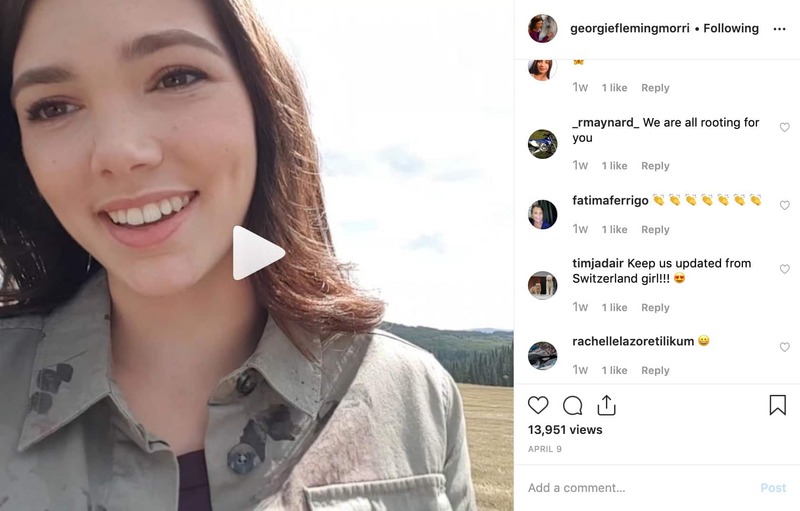 I will say however, that it is because of devoted fans like YOU Taylor, as well as the hundreds of thousands who tune in every week to watch Heartland, that everyone is feeling pretty hopeful and optimistic. Thanks to all of you reading this, for if there is a Season 5 it'll be because of you fans watching it. Sarahh asks, Hey! I love watching Heartland! do you know when Season 3 will be out on dvd? A: Season 3 will be released on DVD in Canada on March 22, 2011 by E1 Entertainment. PrairieClover asks, I have heard so much of the Heartland music on the CBC Canada Live Podcasts. I was wondering if this was intentional, to use music from the pod casts, or to have mostly Canadian musical content? Either way very cool. A: The producers of Heartland make a point of using the music of Canadian artists, and of course the network that plays the most Canadian music in this country is the CBC, so it makes sense that the podcasts would carry some of the great music from the series. , so it's a coincidence, but we think it's cool too! Mathilde asks, hello i will know: amy and ty will they marry? A: Well, they certainly COULD marry. But will they? Only time will tell. They obviously care deeply for each other, but as Shakespeare wrote in "A Midsummer Night's Dream" - "The course of true love never did run smooth." Keep watching and see what happens during the second half of the season. You may be surprised at the path their story takes. Or not surprised. Who knows? A: "A Heartland Christmas", when it gets released on DVD, may be included with Season 4's DVD set, or it may be sold as a separate DVD. It will depend on how the licensee in each country wants to package it. As for being able to see it on television in other countries, "A Heartland Christmas" will be packaged along with Season 4 and shown at the same time that season is broadcast. 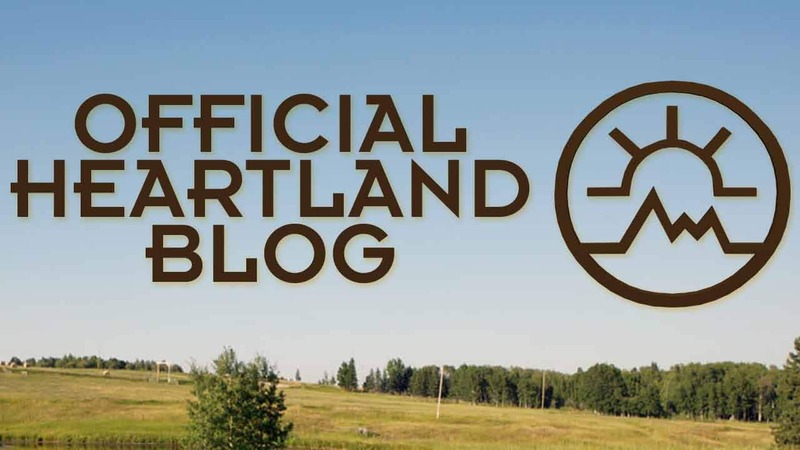 This is the official blog for Heartland, but it mostly deals with the series itself as it airs in Canada. I do try (really hard!) to get as much information as possible about other countries where it plays, and when I get an updated list of which countries are going to air Season 4 I will let everyon know in am upcoming blog post. Nikki asks, Just wanted to know: The woman who plays Lindy Bartlett. Who is she and does she actually sing? I know she's only in one episode, but I've been wondering for a while, cuz that's my favourite Heartland episode. A: Well Nikki, the very talented Mary Ashton played Lyndy Bartlett in the third season and she does indeed sing, but she mostly acts. She is currently a series lead - in the role of Claire - on the CTV series, "Dan for Mayor." Lisa asks, I know the actors work about 7 months a year. How long is a typical work day? Do they work on weekends? I know they all work very very hard and us fans really appreciate it!! A: It takes 15 working days to film 2 episodes. The cast and crew work Monday to Friday and call time is generally from 8:00am until wrap, which usually is 12 hours later. But some crew has to be in earlier and possibly stay later depending on their duties. And of course the actors have to go through hair, makeup and wardrobe in order to be ready for the first scene. Filming rarely takes place on weekends, but the actors do appear at functions like Spruce Meadows in Calgary or the Royal Winter Fair in Toronto and they do publicity appearances as well. Fortunately everyone loves doing these things, even though they are indeed "working". Jessica asks, I was wondering If we will be seeing more of Amy doing any horse healing? p.s. I still love Heartland but I'd also love to see more of that. A: On the series the writers have to balance the people stories with the horse stories and they've been doing that for nearly 60 episodes. You will indeed be seeing more horse-healing in the future, as well as people healing as well! Amanda asks, Are you male or female?? lol I have been trying to picture you (blog whisperer) writing these posts but it is really hard without knowing the answer to this question!! A: Okay, I was going to ignore this because I have been asked so many times, but again - perseverance is resulting in my finally giving in and giving you an answer: Am I male OR female? The answer is "Yes!" Diana asks, I was wondering if we will ever have Heartland stuff to buy other than the dvd and books? It seems that if there isn't any products to buy of a show by Season 4 that there will not be any. A: Will there be merchandising available for sale? There's a good chance, now that Heartland can be seen in the U.S. Manufacturing items isn't practical if the potential buyers are only in Canada, but now that Heartland is gaining a larger fan base you may see something in the future. If so, I'll be promoting - and giving away - the items here, too! Terry asks, My daughter saw the black sweater Amy was wearing on the Christmas episode December 12th and now wants me to find one for her for Christmas. Any idea where it came from and how I might get one? A: Quite often with these competitions instead of the actual prize you can take a cash equivalent and that is probably what happened, since the ranch didn't need any additional vehicles, and money is always tight. Valérie asks, Hi, I have a question for you BW in particular: How did you decided to be a Blog Whisperer? And do you know the actors as friends, or just as actors? Veronica asks, hey will Ty and Amy get engaged soon and what is happening between Lou and Peter? A: Veronica - are you the type of person that, when reading a good book, you flip to the back page and spoil the enjoyment of reading the entire novel? As Ralph Waldo Emerson (or maybe is was Aerosmith?) wrote, "Life is a journey, not a destination," meaning you are going to have to take the entire ride to find out the answers to your questions. But I guarantee you'll enjoy the journey! Kim asks, Will we get to see some of the other horses from the book series? Like Sundance and Dazzle?? And do you guys know if Lauren Brooke will be writing more Heartland specials... one where Amy and Ty get back together? A: A 2-parter, and I can't answer the latter part because I am uncertain if Lauren Brooke will be writing any more books, but I can tell you this - After the 50+ one-hour episodes of Heartland the characters have taken on lives of their own separate from the great book series. The writers still refer to the books and use some material, so you never know - Sundance and Dazzle may appear on screen one day, but any new books that do come out will not necessarily dictate things that may occur on the television series in the future. Indy asks, Hi I was wondering, Will heartland ever get a draft horse? A: I don't know Indy, but new breeds of horses will appear on Heartland in the second part of Season 4 - watch for them! A: All I can tell you is that you will see more of Amy working with horses, and more characters will be introduced on Heartland. Glad you loved "A Heartland Christmas"! A: Heartland had its breakout year in Season 3, averaging over one million Canadian viewers for each of the 18 episodes. And this year the trend has continued, with last Sunday's "A Heartland Christmas" attracting an audience of 1,402,800 - the most watched Heartland ever!!!! And that is again thanks to all you fans out there! Willy asks, Will there be video posted from the Dec. 4th Charity Hockey Game? A: Sorry, Willy - no one recorded the game, at least not from Heartland, but if the other guys (you know... the team that lost?) have recorded it and if they didn't destroy the evidence (remember - they lost?) we may get a copy down the road and show you some footage! Lauren asks, Where can you send fan mail to the cast? Specifically for Amber and Graham. A: Look to the right of the page and click on "Fan Mail" under the blog categories list and there you'll find your answer. Remember to put "Attention Amber", or "Attention Graham", or "Attention Spartan" so the mail goes directly to the person you want to receive it. Otherwise the inquisitive publicist will open it in order to decide who to deliver each letter to. Emily asks, I was wondering if A Heartland Christmas will be out on DVD to buy. If it is going to be, when? A: It will be Emily, but we don't know when. When I know I'll post it here. Josefine Sand asks, Do you know when they'll air in Denmark? A: I'll find out if there's a licensee in Denmark and I will let you know. I have to contact the international distributor so it may take a little while. Breanna asks, Why does the show not follow the Heartland books? Don't get me wrong, I have read all the books and was extatic when I found out there was going to be a show, but a lot of it doesn't make sense. Mallory only shows up in one book, Lou marries Scott, Amy goes away to vet school, Spartan goes back to his original owners who he was stolen from, and Tim lives in Australia in the books. I am slightly confused. A: Don't be confused. Heartland the television series is BASED on the books by Lauren Brooke. The producers and the writers felt that in order to attract a wider audience some new characters had to be added and some changes needed to be made to the stories. Many families the world over watch Heartland, but I doubt that many adults read the books, which are intended for younger readers. And now that there are almost 3 times as many episodes as there are books you have to understand that the storylines that come up in future episodes of the series are also going to be original. However, the main theme of Amy helping horses on the family ranch and all the things having to do with her life are going to be consistent with the themes of the books. Alicia asks, Are there ever any tours of the sets?? That would be an amazing experience. A: Because of the long and complicated days surrounding production it's not something that is often done. Once in a while a lucky fan wins a contest or a charity auction and gets an escorted visit on set where they get to watch filming and meet the cast members but there is no regular tours of the set. Sorry. Sarah Robinson asks, Hey BW - i didnt get a chance to watch the movie will it play any other time on tv besides christmas day? A: Not this year Sarah, but you can watch it online until the beginning of the year. And when I say "not this year" I mean in will play in December 2011, and 2012 because everyone loved it so much! Victoria asks, Hey everyone at heartland. I just want to know if The Heartland Christmas will be on the 4th season. What i mean is on the DVD of the 4th season or will it just go on it's own DVD or will it not go on a DVD that is all i want to know thank. Oh and I LOVE HEARTLAND XD talk to u next post. A: My guess is that "A Heartland Christmas" will have its own separate release. But nothing has been decided yet. When I know... you will know! Rachel Stevens All those horse tricks that Amber (Amy) do they work on real horses? and Where can you get the dvds in stores? A: T Touch and various methods used by Amy are ones that many equine therapists use. The writers research everything that is put in the scripts to try and make the series as believable as possible. Some alternative therapies have their place (and are really effective), and many people swear by T Touch, for example (which is non-invasive in any case). But Heartland (the show and the books) has always approached such things as a complement to professional veterinary medicine (notice how often Scott is called in.) So in real life, if your horse is ill or starts acting strangely, the first thing that you should always do is call your vet. And don't start administering herbs willy-nilly either; "natural" most certainly does not automatically mean "safe" - in fact, it can be quite the opposite. There is a great category called "Horses" in the Heartland Community forums here on the site. Why don't you head over there and ask some of the other Horse-owning fans what they think? I'm sure it would be a great discussion! As to where can you get the DVDs, wherever DVDs are sold. WalMart and HMV both carry both Seasons 1 and 2. Taylor asks, Will Amy ever find out what happened between Ty and Blair??? A: That's a great question! Claire asks, First i am a huge fan so i bought the first and second season and really want the 3rd and fourth season and can't find them any where because i live in California. A: I am really glad to read that you do not have Seasons 3 or 4 yet because they have not come out yet on DVD anywhere! Season 3 will be out in March 22 of next year and no decision has been made on Season 4. Big Bear asks, This is a strange question but hey that's me: every character who drives around the gravel turning circle in front of the house goes over the grass; is this a running gag amongst the cast or is there just one really bad stunt driver? ;) Love the show, you guys are making magic! Heartland84 asks Hi BW!!! :) I was just wondering if there will be any more contests where you can win a visit to the set like katherines earlier in the year? A: As I recall, that was a charity auction, but in any case, there will be contests with a variety of prizes. Keep watching here for details! David asks, Is it just me or is Amber Marshall a ringer for a young Hillary Clinton? A: After looking at this photo David, I would have to say... it's just you! Val asks, Some months ago it was mentioned that Chris will direct several episode this Season but I only read about one (either 415 or 416). So do you know, now that the Season is almost finished, how many eps he really directed? A: Chris directed - and very well I might add - Episodes 415 and 416. Those are the 3rd and 4th last episodes of Season 4, and I know you are going to like them! A: A Heartland Christmas will be given to international licensees as part of Season 4, so the answer in France is - probably in 2011. Season 4 in France will start airing in March! horselvr98 asks, Hey BW I was wondering if the actor that plays Sam(Matthew Knight), is related to the actor that plays Badger(Jack Knight)? They look alike and I think they might be brothers but I'm not sure! A: Now you can be sure - Matthew is Jack's younger brother. Good eyes, horselvr98! Tiishirt asks, My question for you: Will the cast of Heartland ever come to Germany or another country in Europe to sign autographs for fans living here? A: I would normally say no, but there's always a chance something could happen. It is unlikely, but stranger things have happened! kyla m asks, I know Heartland is filmed outside Calgary. Is the town Hudson modeled after a real town? It seems like an ideal place to live! A: Hudson is really the Town of High River, located 37 km south of Calgary. It is a beautiful place to film Heartland, and Maggie's Diner has become an iconic tourist attraction for fans of the series. The 10,000+ residents are great and love having the film crew there and put up with the odd street closure they force upon them. Actually, many merchants in the area love it because business increases with all the attention Heartland brings, and the town gets seen around the world! emily asks, my question is, when is Graham's birthday? A: Emily - I don't give out personal information of any of the cast and crew, unless they supply it for all to see. I looked at Graham's personal website - http://www.grahamwardle.net/ and see that he doesn't post his birthday on his own site, so I can't do it here. However, there's lots of other information and fun stuff on Graham's site. If you haven't visited it before I'm sure you'll enjoy it! A: Spartan is around and fine, and you'll be seeing him in upcoming episodes! Emile from Belgium asks, I was wondering if Graham and Amber are also a couple in real life. Are any of you coming to Belgium any time soon? I would really love that, cause i am dying to meet you ♥ ! And does Amber give clinics in other country's? A: I know I just said I don't give out personal information about cast and crew, but it's not a secret that Amber and Graham are not a couple off-screen. They are however, very good friends. As for your second question, the demands of filming dictate that there is not much time to make appearances in Canada, let alone in other countries, but never say never! Heartland is popular in Europe and some day some of the cast may find their way to your continent. anne asks, In the Heartland movie, in the part when Amy and Ty arrive to the place where were the horses, some of them were dead, these were real? And - The horses you use in Heartland, are special horses,aren't they? A: Anne - Heartland would never use an actual dead horse. Those are just realistic-looking props, because as well trained as the Heartland horses are, no one can get them to hold their breath so they can convince people they are not living. And yes, the horses are trained, gentle horses that are comfortable on a television set. Very little fazes them and they are great to work with. Big Bear asks, In episode 401 there was so much focus on Ty and Blair that we didn't hear much about Amy and Chase's ring of fire tour. Or was I not paying attention? It was a big event for her, are we going to hear more about it? A: Oh yes, the Amy and Chase stuff is far from over. Taylor asks, Can we expect to see the characters Sam and Joanne Hawke in upcoming episodes - or were their roles solely for the movie? A: The movie was written - as you know - as a "stand alone". But that doesn't mean that some of the characters introduced couldn't find their way into the series eventually. Kayla asks, Why was Heartland Season 1 released in the U.S. early in the year, but now you can't buy it here anymore? Will season 2 ever come out here? A: Amber did interviews in Philadelphia earlier this year, and Graham was in Seattle, San Diego and Los Angeles, appearing on stations that play Heartland. There may be some appearances in the future. I will let you know right here. Thanks for the love from what we call "south of the border"! Alan Davis asks, I have asked this several times on Facebook, but have never seen it answered. Amber/Amy can be seen sometimes sporting a ring on her third finger, left hand. Please do tell! Samantha asks, Are we ever going to see any deleted sceans or bloopers of the show on the DVD? What we get is good but i would love to see other stuff. A: There's a new set of interviews done every year and the ones included in Season 3 and Season 4 are going to be great! If the bloopers are interesting they may be included, but really, most of the time they are not all that much fun to watch. Pamela asks, Will we see more of Victor Whitetail? I simply loved that episode - my favorite so far. And that's saying something. I love all of the episodes and recommend the show to my students! I am a real life horse whisperer who teaches natural horsemanship. In fact, our horse BG Buddy is in the photo at the bottom of Christy's blog yesterday. It's refreshing to see how accurate and correct the show is with the actual "horse" work. Great job - please keep up the great work! A: Thanks for the endorsement, Pamela. BG Buddy looks like a great horse. Victor, played by Ben Cardinal, will not be back in Season 4, but if there is a Season 5 you never know! Ruby asks, I was wondering if it was possible to write a letter to the cast, if so is there a better time to do it? I think that all the cast members are wonderful actors and I really appreciate their work. Thank you so much! Ruby - the cast answers all letters, but due to the volume and their other commitments it may take a while to respond. The address was addressed (see what I did there?) in an earlier question on this post! Kissandrun asks, Hello! BW, I am not a Canadian and I want to know what is in the dishes before starting to eat at the Christmas table? There are 3 small cylinders, and it seems that Amy pulled at one end. You could say what it is? A: Your question threw me off until I realized some things we take for granted are not commonplace in other countries. You are asking about the CHRISTMAS CRACKERS! Christmas crackers (or bon-bons) are part of Christmas celebrations in the United Kingdom and Commonwealth countries such as Australia, Canada, New Zealand and South Africa. A cracker consists of a cardboard tube wrapped in a brightly decorated twist of paper, making it resemble an oversized sweet-wrapper. The cracker is pulled by two people, and, much in the manner of a wishbone, the cracker splits unevenly. The split is accompanied by a small bang produced by the effect of friction on a chemically impregnated card strip (similar to that used in a cap gun). Inside are little gifts and goofy paper hats that everyone (except Blog Whisperers) put on before Christmas dinner is consumed. You can find lots of information online on their history and how to make them, which dates back hundreds of years! Tim Gouveia asks, is season four done? A: Filming? Yes - today in fact!!! Broadcasting on CBC? No, there are still 9 episodes to go, the first of which will be Sunday, January 2 at 7:00pm. Amy James asks, can we get it (A Heartland Christmas) in the us? A: Not until at least Season 3 has aired in the U.S.
Aby Gueye asks on Facebook, When will Season 4 be out in France? A: The licensee in Paris has indicated that they will begin running Season 4 in March of 2011! Super! Ella McCallum asks on Facebook, Hey just wondering how much the black horse spartan would sell for because he looks really good. Okay, that's all for questions, folks! Wow - that was a lot of questions, I am tired, despite my tender years... I hope I've made a lot of you happy and better informed. If I didn't answer your specific question I'll still see if I can get an answer for you, and I'll post those answers later. And well do this again sometime in the new year! Until the next post (perhaps as soon as tomorrow...) this is your intrepid Blog Whisperer, signing off!